With the iPhone 5 release date nearing in as we speak, more and more rumors are surfacing the web. Today, it’s all about the looks of the sixth generation Apple smartphone, the one in white, which will apparently have a nicely contoured front bezel. Comparing the leaked images with the looks of the iPhone 4S, we notice that the position of the FaceTime camera is now centered and above the front speakers, and not in line with them as on the current model. If you look closely at the display’s dimensions, these pictures hint at a larger screen size, possibly the 4-inch panel we were all waiting for. Currently, the iPhone 4S has a 3.5-inch wide screen and this should fit perfectly with the latest rumors, describing the future version as a bit taller and slightly slimmer. It’s also worth indicating that the left and right edges of the bezel are much thinner than the ones found on the 4S, a fact that may indicate a move towards a more edge-to-edge-like screen. 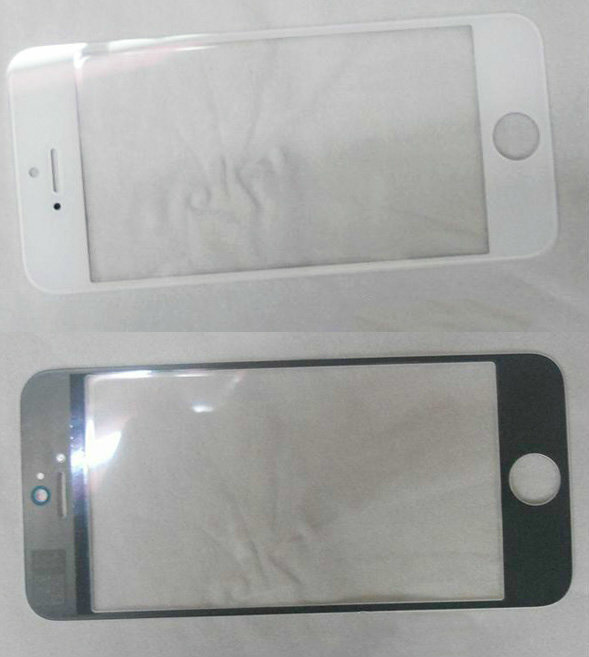 Although these pictures only show the white version of the upcoming phone (the black one shows the flipped bezel), Apple surely intends to release a black iPhone 5 as well.